I often post questions from teachers on my Facebook wall. It is always amazing to see the helpful and insightful answers that other teachers post. 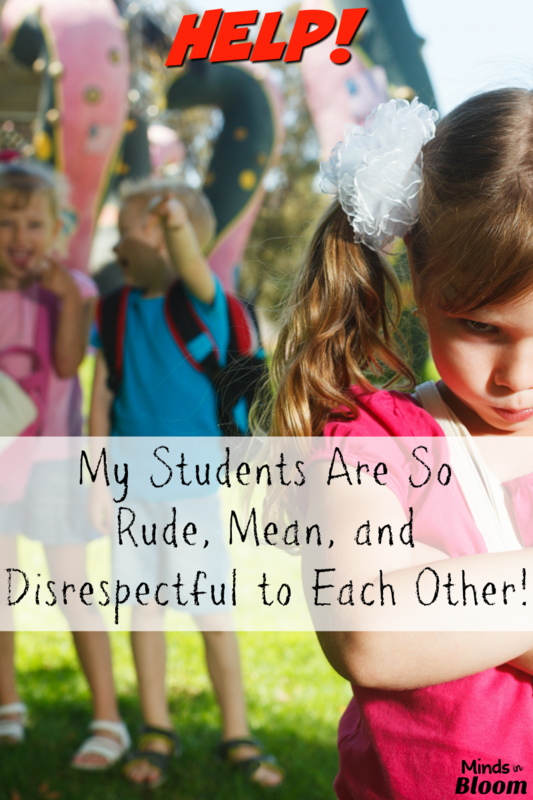 A few days ago, a teacher named Jenny Eldridge had a great question about how to keep her students from being mean and disrespectful to each other. I was so impressed with the answers that I decided to post some of the 52 responses here so that more teachers could benefit. I teach 4th grade and have three weeks of school left. My students are starting to become really disrespectful and rude toward each other. Their tone of voice when talking to each other is so mean and snippy! There has been eye-rolling, catty remarks, and girl drama. I have tried to combat this disrespect with my management plan, which has worked up until now, but it is no longer working. Any suggestions for something new? Several teachers also suggested using Class Dojo. 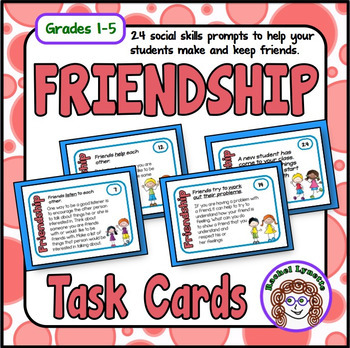 You may also want to check out this Random Acts of Kindness Freebie or these Free Friendship Cards. Find out what Jenny decided to do. She created an amazing plan that you can read about here. Have you tried some of these ideas? Tell us how it worked with a comment, or add an idea of your own! What a great list! I love the Mr. Potato Head idea! you need A: Attitude A GREAT positive Attitude B : you need Balance in your life , time for home work time to balance your check book ect. C: you need commitment ,cooperation , communication skills The students of today are smarter than we give them credit for . subject ::: disciplinary referrals : I have tried almost everything , Lately i will hand write a note and give it to student , asking what did you do and why ???? case history three girls had finished their class work and turned it in . They started laughing and talking getting louder as time went by . So I wrote a note and ask all three to read the note . something like this . Why do you think it ok for you to laugh and talk when other student are working hard to finish their class work. Please Write me your answer to this issue and put your name on it . They all three wrote a very complete note for me.